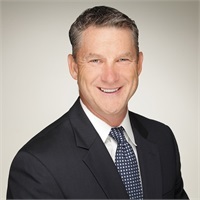 As President and Founder of ASE Financial Advisory Group, Rusty Cagle brings nearly 25 years of experience to his clients. Advising individuals, families, professionals, and businesses, his expertise extends across a vast array of disciplines and services. While he thrives in sustaining family legacies and preserving wealth, he specializes in helping improve client returns, mitigating their taxes, and most importantly, creating income strategies that last a lifetime. Beyond serving as his clients’ financial advisor, Rusty takes on the role of an advocate who leads people through some of life’s most challenging decisions. Committed to the value of long-term planning, he encourages clients to overcome the emotional traps that often distract them from making effective decisions for their financial future. Rusty is dedicated to developing authentic and trusted relationships with each of his clients. By working closely with people to understand their unique needs, personal aspirations, and most significant concerns, he develops tailored strategies that he personally oversees from concept through implementation and the ongoing review and monitoring process. As a CERTIFIED FINANCIAL PLANNERTM professional, Rusty holds a number of the financial industry’s highest designations. In addition to his Master Planner Advanced StudiesSM (MPASSM), Rusty is a Chartered Retirement Planning Counselor (CRPC™) and a Chartered Advisor in Philanthropy (CAP®). Rusty is a Registered Representative with Kestra Investment Services, LLC and an Investment Advisor Representative with Kestra Advisory Services, LLC.